Los Angeles Mayor Eric Garcetti says a second day of renewed negotiations between striking teachers and the nation’s second-largest school district ended without a deal. Garcetti tweeted late Friday that the “productive day” of talks between a teachers’ union and the Los Angeles Unified School District wrapped up just after 9 p.m. PDT. He says negotiations will continue Saturday morning at his office. 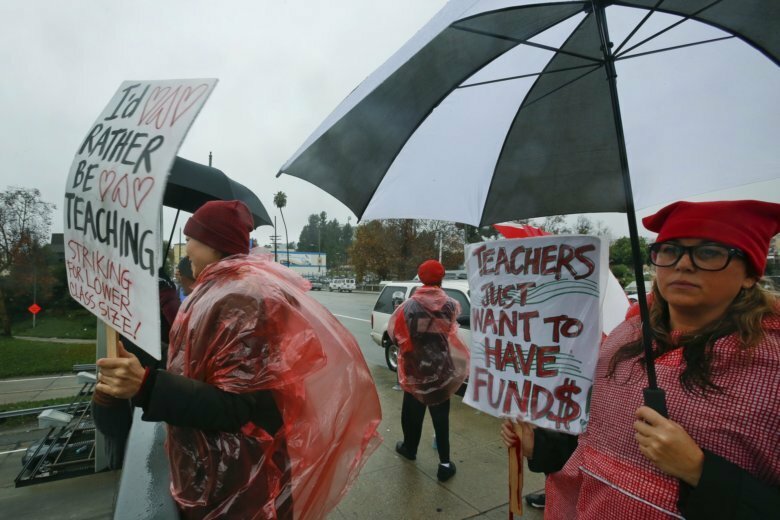 The discussions cap a week of protests by teachers and supporters who have been picketing outside Los Angeles schools. The schools have remained open, but parents of hundreds of thousands of students have kept them out of the classroom at great cost to the district. Teachers are demanding higher pay, smaller class sizes and more nurses and counselors. School officials say the money isn’t there and the demands could bankrupt the district. Teachers are picketing outside Los Angeles schools for a fifth day as negotiators work to end their strike against the nation’s second-largest school district. The teachers plan a rally Friday in a downtown park before union officials return to bargaining with the Los Angeles Unified School District. Schools remain open, staffed by substitutes and administrators, but the majority of the district’s 640,000 students have stayed away. State funding is based on attendance, and the district says the first four days of the strike resulted in a loss of $97 million. Los Angeles teachers will walk picket lines for a fifth day after the union and school district officials returned to the bargaining table with hopes of ending the massive strike in the nation’s second-largest school district. Teachers plan to rally outside City Hall on Friday — the first day with no rain in the forecast since the strike began. Contract negotiations resumed Thursday with no word on whether either side provided a new offer. They’re expected to continue Friday. Teachers are demanding higher pay, smaller class sizes and more nurses and counselors. School officials say the money just isn’t there and the demands could bankrupt the system. Schools remain open, staffed by substitutes, and the district says student attendance is at about one-quarter the usual numbers.